So the papers have been signed and its official. After vowing to never own a home again, we are now home owners. 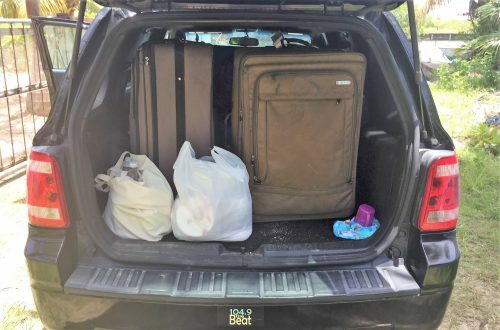 After living in five homes in the past two years, it’s comforting to know that just about all of our possessions can now be transported in a single trip with a Ford Escape. No big moving trucks or even a large SUV is needed for us. And hopefully we just made our last move for awhile. House Hunters International. Beachfront Bargain Hunt. Caribbean Life. 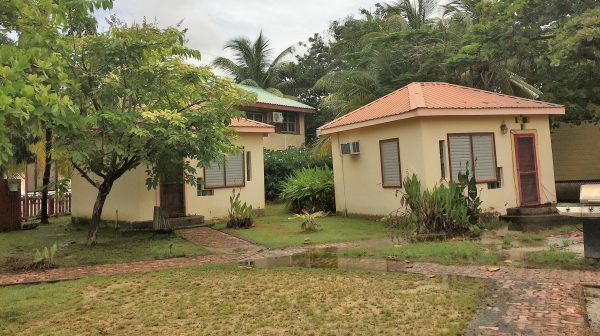 We watched all these programs back in the U.S. and would sometimes share a conspiratorial grin or a whispered “that’ll be us soon.” I had lofty dreams of what house hunting might be like in Belize- visions of tidy and bright cabanas, airy and clean homes with huge decks overlooking the sparkling sea. In these shows the prospective buyers have ample budgets and seem to ALL make snide comments over countertop colors or his-and-her sinks. Our reality was much different in some ways but similar in others. With regard to the speed of the move, we were relatively on pace with TV; On TV in 30 minutes the lucky house hunters are in their new home. For us, it took just under 30 days before we spent the first night in our new home; 28 days to be exact. So pretty quick for both. 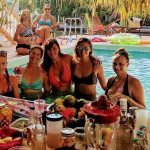 But while on TV they can leisurely stroll through a home and make comments amongst themselves and their realtor, and then sit poolside drinking their coladas as they eliminate homes one by one, our house hunting experience was different. So we’ll take you through our brief journey of how we found what we hope will be our paradise. 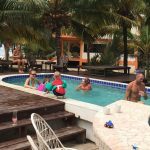 Many of our friends back home know that our plan when we moved to Belize was to spend 6 months in Placencia and then 6 months on Ambergris Caye. We would then decide which location offered us a better opportunity for long term success and then make that spot our new home. We actually didn’t decide which location we were going to go to first until probably two months before we actually moved. 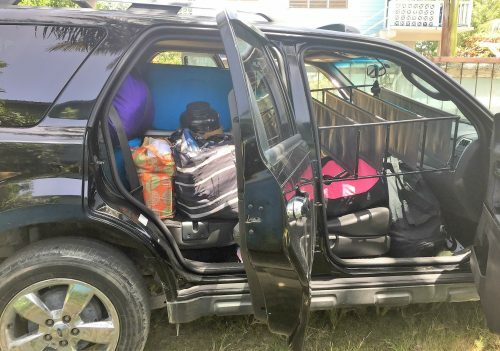 We just so happened to find a long term rental in Placencia first, so that’s why our Belize adventure started there. We arrived in Belize on May 23rd. 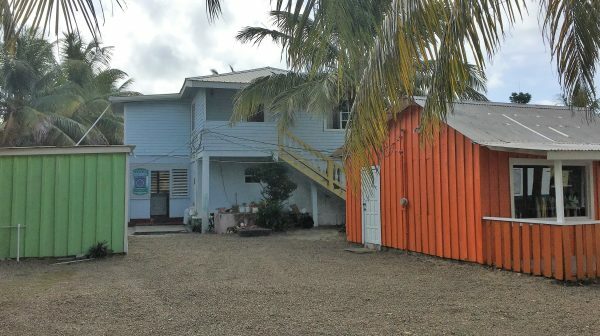 In Placencia Village there are at least 8 real estate offices over a stretch of less than a mile. Our plan? Hit up each office to let them know what we were looking for and to have them let us know if something popped up that fit our criteria. We were in no hurry; we just wanted to get our names out there and let people know that we were looking. We figured the more people we told, the better our chances of finding something. Our wants? 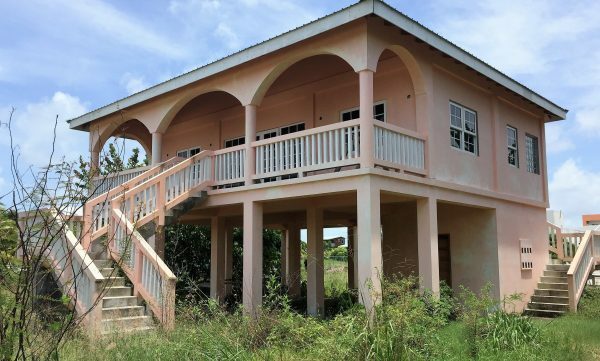 We were looking for either a turnkey business that two relatively inexperienced business people couldn’t screw up, or maybe a property that would give us a place to live and an opportunity to rent out a unit or two in order to make enough money to allow us to remain in Belize. And we had a conservative budget…we’re not wealthy by any stretch of the imagination; there would be no half million dollar homes for us or increasing our budget by 100k on a whim. 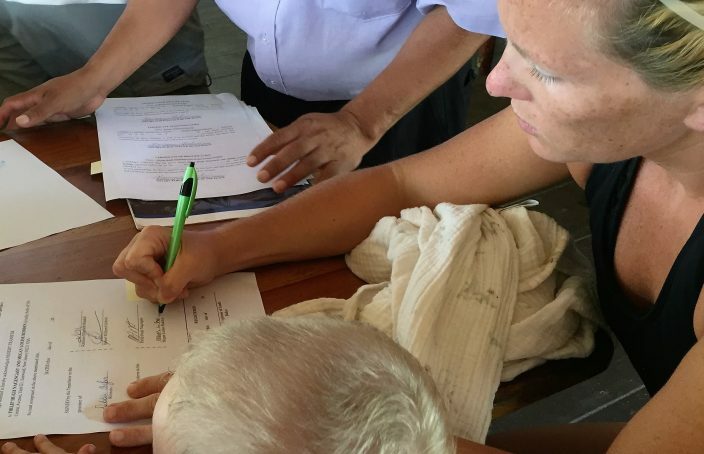 So on May 31st, one week after arriving in Belize, we made our first stop at the local ReMax office and spoke to the agent. He just so happened to have a listing for Bamboo Gardens, a 3 story home, divided into 3 units. And it was just a short three minute walk from his office. Lucky for us, Mitch just so happened to be asleep in his stroller, so we left him with the friendly office staff and walked down the street to check out the house. There were tenants still in the first floor, but we were impressed enough with the rest of the house to know that this house could be a possibility if the price was right. We spent the next few days with a realtor from the second real estate office that we had stopped in. She was super nice and knew everybody in the village. Even though the village is very walkable, she insisted on driving us around the village, looking at probably 3 or 4 other properties. Mitch really enjoyed the air conditioning in the car; it beat being pushed in a stroller in 90 degree heat which is how Mitch typically spent his days. And honestly, weren’t complaining about not having to walk either. The hardest part of the property search was dragging Mitch in and out of each house, making sure he didn’t climb on furniture, knock over any lamps, or throw any knickknacks, while at the same time listening to him complain when the ceiling fans in each house weren’t turned on. He also insisted on going up and down flights of cement steps on his own, multiple, and I mean multiple times. And unlike on TV, there was no opportunity for witty banter between us and the realtor, as Mitch’s incessant whining typically overwhelmed any conversation we attempted to have. Don’t let his sometimes angelic face fool you. 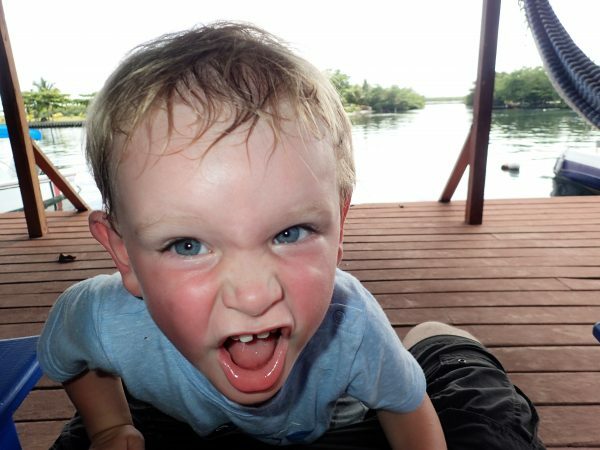 This kid is a terror. So after less than four days of property hunting, besides the property above, our other choices were….. Pink cement house one minute from the beach that was not totally finished on the inside yet, but had a large enough yard to build a small cabana that could be rental income. 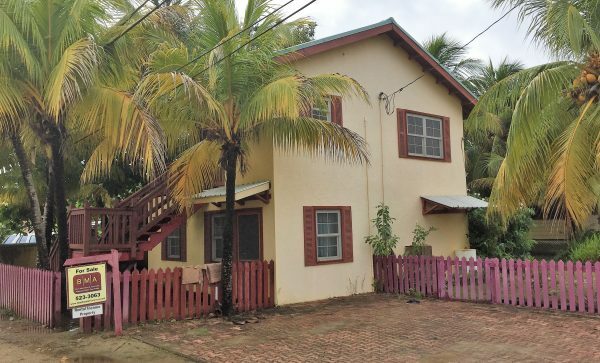 Casa Charly, a 3 bedroom home on the second floor and a rentable 1 bedroom apartment on first floor. Two small retail stores on the front also generate rental income. There is also room to build another cabana on the property to generate even more rental income. Nikolai’s Place, a property with five buildings/cabanas right on the water. One is two bedroom unit that we could live in and then we could rent out the others. Sorry, the photos don’t do the location justice, this property is literally just steps to the sea, it even has its own dock. 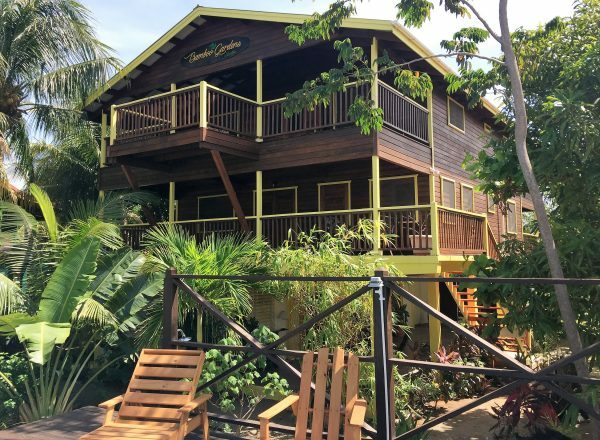 The Green Gecko house with a 2 bedroom living space on the second floor and a 1 bedroom apartment on the first floor. The lot is large enough to add a small cabana for more rental income. 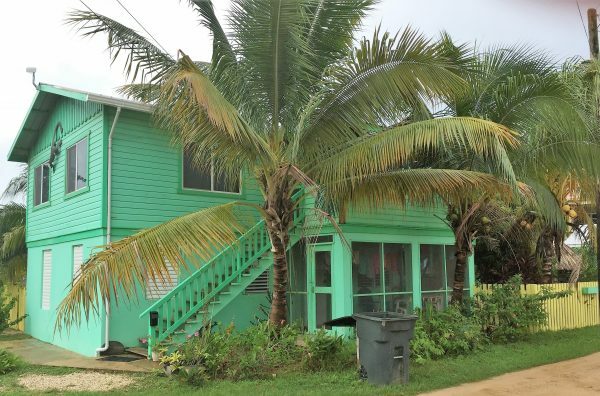 So on June 4th, after four days of super intense house hunting (that’s sarcasm, nothing is really intense in Belize), we made a decision. Our decision wasn’t really what house to pick….that was pretty much a no-brainer. So our decision was really whether it was a smart idea to purchase a property after having only lived here less than two weeks. 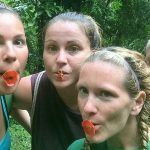 We factored in our risk tolerance, our savings, our current duel unemployment status, and our dim future employment prospects in Belize to arrive at our decision. Put all those together and it led us to make an offer on Bamboo Gardens. Makes sense, right??? After three days of a little back and forth negotiation regarding price and loan terms, on June 7th we had a signed agreement. By the following week money was being transferred. 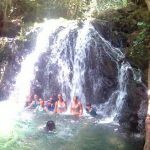 In Belize if you need financing, it’s often possible to obtain it through the sellers at a modest interest rate, rather than through a Belizean bank. The bank typically charges interest rates well into double digits while also having very strict requirements to qualify for a loan. But with seller financing there really are no qualifications or requirements, just be prepared for hefty down payment…think well north of 50 percent. And you better not miss a payment. Stay tuned for tomorrow’s post with moving in details and house photos!